My visits to the Mardyke Arena Health & Leisure Centre were some of the most relaxing experiences during my time abroad at University College Cork. I have been to many amazing gyms in my life. From visits to the American football athletic facilities of my high school, the spa-like atmosphere of my parents’ tennis club, or the various LA Fitness centers that I currently exercise at, I have been exposed to many fantastic athletic facilities. However, none compare to the Mardyke Arena. On a typical weekday in Cork, Ireland (after or between classes) I would walk down to the Mardyke with some of the other international students I met during my time at UCC. The first time I stepped foot in the building, I was floored. As you enter the main building of the Mardyke Arena, a big central room with a ceiling two stories high comes to view. There are two main wings: the left wing and the right wing. In the left wing there is a massive Olympic-sized pool on the bottom floor and a gym on the top floor complete with weights, treadmills, and exercise equipment. In the right wing there is a gym on the bottom floor that is strictly for weightlifting. As you walk past this gym, there is a whole auditorium full of basketball and volleyball courts. I did most of my cardio exercise here since I prefer shooting hoops and chasing the ball to just running statically on a treadmill. On the top floor of the right wing, there is another gym with machines, treadmills, and more. On the other side of the right wing hallway is the locker room/ spa area (aka: the best part). The male and female locker rooms meet in the middle at a sort of spa area (swimsuits have to be worn of course). After every workout, my friends and I would go into the sauna, then step out into the cold showers that were strategically located outside both the sauna and steam rooms. After working out, sitting in the sauna, and taking quick cold showers, we would lay in the tile lounge chairs set up in a semi-circle such that they overlooked all of the football fields. During my time at the Mardyke, there was nothing better than sitting in these seats and watching athletes scrimmage as my body recovered from some healthy exercise. If you ever are lucky enough to study at UCC, make sure you take advantage of these excellent workout facilities. Hopefully they will “blow your mind” as much as they did mine! Austin Gould is a recent college graduate currently residing in Los Angeles. Some of his interests include playing music, hanging out with friends, and bocce ball. 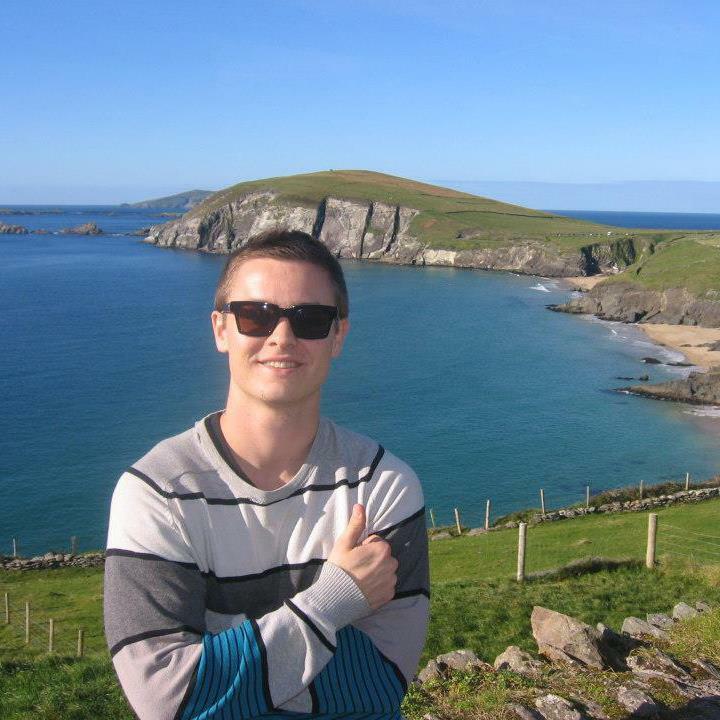 He studied at University College Cork during the Fall of 2012 after a month-long backpacking trip through Europe.